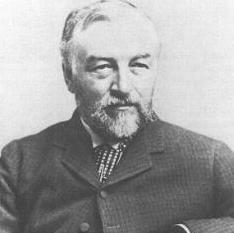 On October 3, 1903, Samuel Langley's attempted to fly his monoplane of his aerodrome in which was mounted on a house boat in the Potomac river. The aerodrome was a runway in which Langley's monoplane would be catapulted into flight. 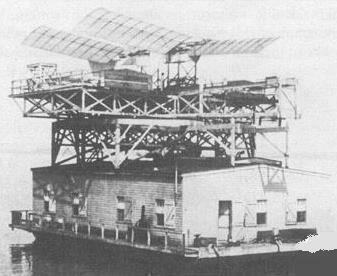 Upon launching, the monoplane fell over the edge of the houseboat into the deep friget waters of the Potomac River. Langley's airship was a tandem winged monoplane powered by a 52 horse powered gasoline engine. The War Department's report on the project said "we are still far from the ultimate goal, and it would seem as if years of constant work .... would still be necessary before we can hope to produce an apparatus of practical utility on these lines".